Bob has over 30 years of sales, strategy, innovation and leadership experience. 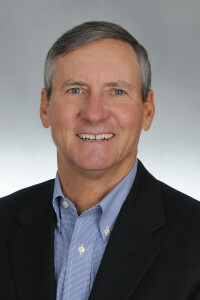 At the 3M Company, Bob discovered his passion for entrepreneurship and took over a family business, merged with another company and became CEO and co-founder of the Innovative Distributor Group (IDG) until its sale to a public company in 1998. Bob is a natural change agent and under his leadership, IDG was transformed from a traditional industrial distributor to an early leader in integrated supply. Bob then founded Pathway Guidance where he works with a vast array of small and medium sized, for-profit and non-profit organizations. Bob is a big picture thinker, and quickly narrows down complex issues, challenging senior management teams to tackle the tough issues of focus, leadership, setting priorities and managing performance. He is the past chairman of the Cincinnati Chapters of Young Presidents Organization and World Presidents Organization. He recently won two local awards for his contribution to entrepreneurship and is active in both private and non-profit boards. He holds a bachelors degree in business from the University of Denver and completed the Owner-President Management Program at Harvard Business School.